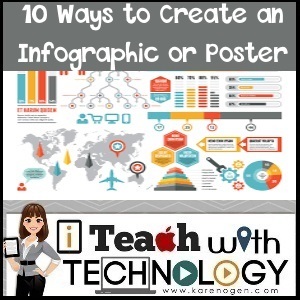 Infographics and posters are a great way to share facts, statistics, and information in an easy to understand way. 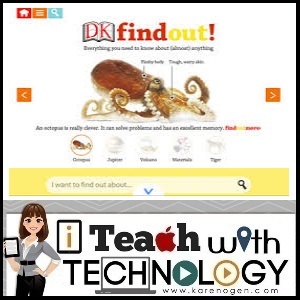 They are engaging to use as a reference or resource for teaching and sharing information with your students. You can click on each to view full-size. PiktoChart advertises that "non designers create beautiful infographics in as little as 10 minutes.” This powerful creation tool includes one of the largest libraries of free themes and media that are ready to use. Canva is an easy-to-use online tool that creates posters, infographics, presentations, social media images, cards, and more! Canva has a vast library of images, icons, fonts and features to choose from. Venngage is a great tool for creating and publishing infographics, posters, reports, or social media posts because it's so simple and easy to use. You can choose from templates, themes, and hundreds of charts and icons. You can also upload your own images and backgrounds and animate them too! Poster My Wall allows users to create infographics in the form of posters, collages, calendars, and cards. 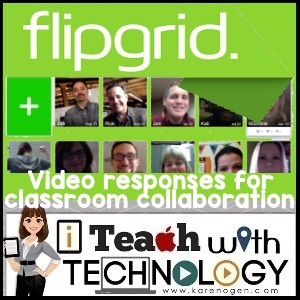 Teachers can set up a classroom account for free! Use Smore to create professional-looking electronic flyers and newsletters. Choose from a variety of backgrounds and templates and then simply enter your information and add photos, logos, links and other features. A Smore is easy to share and distribute via email or social media (recipients can print copies, if desired). Tackk can be used to present information (student presentations, fliers for parents, school newsletters, professional learning, etc.). 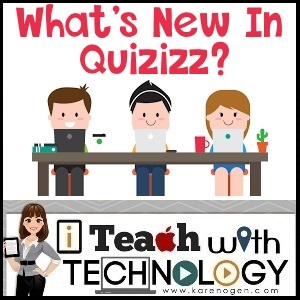 One thing I like about Tackk is that the teacher, students, or community can contribute to a project by adding text, images, and videos, making this a collaborative tool. Vizualize.me is touted as an infographic resume creator. However, it can also create vibrant language maps, timelines, bubble charts, tree maps, pictograms, and more. This tool offers you a several customizable, free templates to start you off. The library of images has arrows, shapes and connector lines, and you can customize the text with range of fonts, colors, text styles and sizes. StoryboardThat.com is for creating storyboards, graphic organizers, character maps, comparison charts, timelines, and comics. This versatile and easy to use online resource has available all of the backgrounds, images, and text possibilities your students will need to tell their curricular story, no matter what grade level or topic. The only drawback is that StoryboardThat.com is not a free resource, although educators and schools can receive accounts at a discounted rate. This Geometric Solids- Shape Vocabulary lesson is just one example of the many lesson planning resources available in the classroom edition. Each lesson includes step-by-step plans, connection to standrads, examples of finished products, a how-to on recreating the project, or the ability to copy the template. Lessons are available for K-12. StoryboardThat.com has an astounding amount of backgrounds and images available, but you can also upload your own if your don't find what you need. Characters can be customized by changing colors of skin, hair, eyes, and clothing. They can also be customized by changing their pose. Teachers can quickly add student users to a classroom account so students do not need to create an account with an email address. Teachers can easily push out assignments to their class and view student work. Student work can be shared, downloaded, or printed from the teacher dashboard. A management dashboard holds easy to access tools for teachers to manage and monitor their students' accounts and classwork. 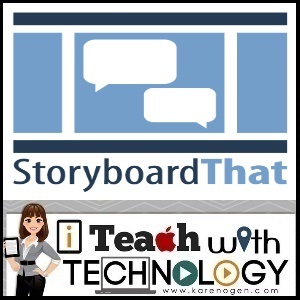 StoryboardThat.com is a tool I often forget about now that many of my students have moved to 1:1 iPad learning. However, this site now is compatible with iPads as well. No more reason to forget about this amazing resource! Our news channels and social media have been inundated with campaign information. It is likely that our students will be interested in the presidential campaign and election this year. Educators can take advantage of that excitement and make sure that learning about the election is exciting and engaging as well. I have collected some useful, interactive resources that will help explain the campaign, voting, and electoral process as you teach your students during this time. 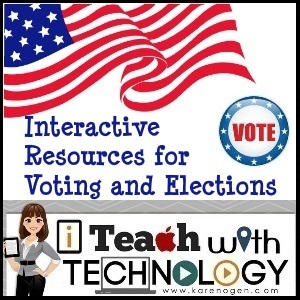 These resources will engage your students by getting them to think through the election process by role playing, evaluating data, or creating information. Most of these resources are geared towards upper elementary to middle school students and should be used in conjunction with your lessons. I hope you find these resources helpful. This past week, I attended the Discovery Education Summer Institute and they had their own SnapChat GeoFilters for the event. Several of us thought that was a great idea to bring back to our schools as another way for our families, students, and staff to promote events and to show school pride since SnapChat is favored among younger users. 1. A community filter- for a place or event with NO logos. 2. An on-demand filter- for businesses WITH a logo or branding ($). Now add the images and text for your school or event filter. Make sure those images also have transparency around them. Use the Magic Wand tool to take out backgrounds. Save as a .png file. You are now we are ready to submit your file to SnapChat for approval! 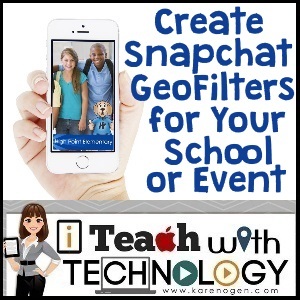 Go to: https://www.snapchat.com/geofilters and choose the type of filter you are uploading. In both types of filters you will need to upload you designed filter, provide your information (or Snapchat login, choose the geo-location for the filter, and the dates of use. The geo-location determines where the filter will be available. 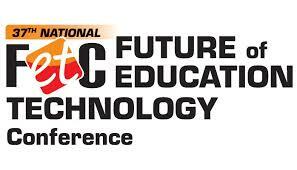 Click around your school, football field, or other event location to create the geo-location. Your Snapchat GeoFilter will be reviewed and published soon and ready for your students, parents, and staff to enjoy! This post is dedicated to and created for my amazing friend and media specialist extraordinaire, Sandi Dennis. High Point Elementary is her new school.